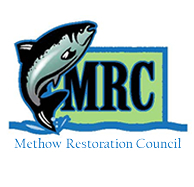 To add your name to the MRC mailing list, contact Jessica Goldberg at: Jessica@methowrestorationcouncil.org" or 509-997-0028, extension 263. To participate in a project field trip or to arrange a field trip for your group, contact Jessica Goldberg at: jessica@methowrestorationcouncil.org or 509-997-0028, extension 263. The MRC meets the third Tuesday of each month--meetings are open to the public and all are welcome. When: 3rd Tuesday of each month, from 9 a.m. until noon.